I was looking forward to meeting up with my old school friends. 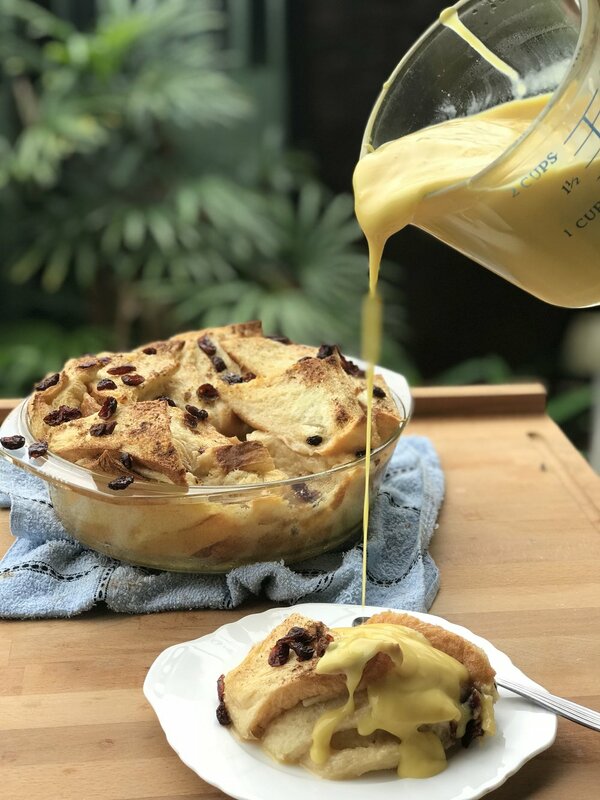 As I was planning what to cook, I thought, what better dessert to dish up than the long-time favourite Bread & Butter Pudding to please friends of 30 over the years! Butter on one side of the bread slices. Then cut them into triangles. Butter a pyrex dish and arrange the bread. In a large bowl, beat eggs with caster sugar. Add vanilla & milk. Beat well. Pour the custard mixture over the bread gently. Sprinkle with sultanas & cinnamon powder. Bake in a moderate 185ºC oven for 45 minutes-1 hour, or till the top has puffed up & golden brown. Perfect with custard or vanilla ice-cream.